Crooked teeth, misaligned teeth, crowded teeth, gapped teeth and a misaligned bite can all leave you feeling self-conscious about your smile. Unfortunately, they may also be putting your dental health at risk. 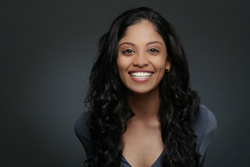 Our Los Angeles Invisalign provider offers orthodontic solutions that can help you maintain better dental hygiene, reduce tension in the jaw joint and leave you with a more attractive smile. Invisalign is a revolutionary orthodontic appliance that uses clear plastic trays instead of the metal wires and brackets of traditional braces to straighten teeth. Traditional metal braces can irritate the soft tissues of your mouth and interfere with your normal eating habits. Invisalign does not. Removable aligners make it easy for you to keep your teeth clean, and you can take them out when eating in order to continue enjoying all your favorite foods. Our Los Angeles Invisalign provider will help you create a treatment plan that fits comfortably into your life and adjusts your teeth without the need for frequent appointments, uncomfortable appliances and irritating metal. 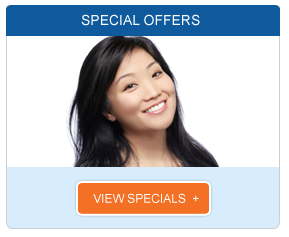 Our Los Angeles Invisalign provider will take images and dental impressions as we map out your treatment plan. The dental laboratory will then create an aligner for each stage of the treatment process. When your aligners are ready, you will wear each one for about two weeks at a time for 20 to 22 hours a day. You can remove your aligners to eat, drink, brush and floss. Your teeth will be gently moved into position in about a year. Invisalign may not be right for every patient or every situation. 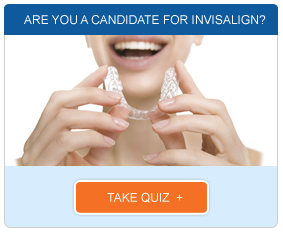 Our Los Angeles Invisalign provider will evaluate your unique dental health needs to determine if you are a candidate. Give us a call today to schedule your consultation and learn more about your orthodontic options.